Talk show host Conan O’Brien probably isn’t the first person you think of when listing the best action stars of all time. But, that doesn’t stop him from trying. Last night’s episode of Conan on TBS brought recurring guest Steven Ho back to the show in an effort to teach O’Brien some sick fighting moves. Ho is a stunt coordinator whose credits include Blade, Crank: High Voltage and the last two Pirates Of The Caribbean movies. 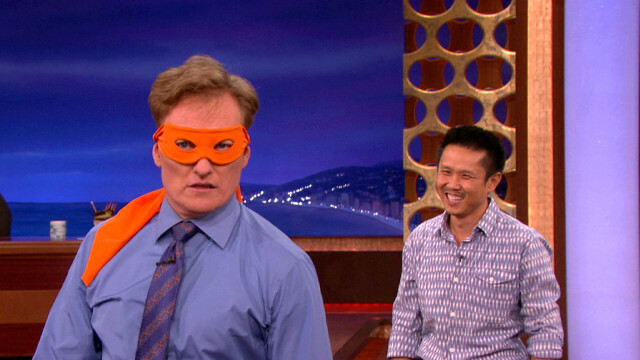 He even played Donatello in Teenage Mutant Ninja Turtles 3, which brought about some ninja-esque challenges for Conan. Follow this link to see him take on a gang of fruit-wielding thugs.